See details VALSPAR 3402 MEDALLION PERFECT SAMPLE TINT BASE SIZE:PINT. This durable wall enamel protects with a 100% acrylic coating for long lasting interior beauty. The satin finish also resists stains and fingerprints. Dries quickly and cleans up easily with soap and water. See details VALSPAR 3405 PERFECT SAMPLE CLEAR BASE SIZE:PINT. See details VALSPAR 3408 PERFECT SAMPLE PASTEL BASE SIZE:PINT. See details VALSPAR 11921 CONTROLZ INTERIOR OIL BASED STAINBLOCKER VOC SIZE:QUART. See details VALSPAR QUIKRETE 000020C BLUE COLOR FLAKES SIZE:7 OZ. See details VALSPAR QUIKRETE 000021C TAN COLOR FLAKES SIZE:7 OZ. See details VALSPAR QUIKRETE 000026C SAND COLOR FLAKES SIZE:7 OZ. See details VALSPAR QUIKRETE 000027C GRANITE COLOR FLAKES SIZE:7 OZ. 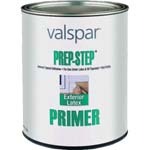 See details VALSPAR 981 PREP STEP EXT LATEX PRIMER SIZE:QUART. 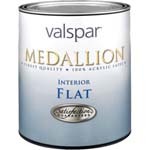 See details VALSPAR 1405 MEDALLION ACRYLIC LATEX FLAT CLEAR BASE INTERIOR SIZE:QUART. This durable wall paint protects with a 100% acrylic coating for long lasting interior beauty. The flat sheen is perfect for most rooms, providing a smooth, even finish to hide minor surface imperfections. Dries quickly and cleans up easily with soap and water. See details VALSPAR 101S SPRAY ODDSNENDS GLOSS BLACK SIZE:3 OZ SPRAY PACK:3 PCS. See details VALSPAR 102S SPRAY ODDSNENDS GLOSS WHITE SIZE:3 OZ SPRAY PACK:3 PCS. See details VALSPAR 110S SPRAY ODDSNENDS GOLD LEAF SIZE:3 OZ SPRAY PACK:3 PCS. See details VALSPAR 1402 MEDALLION ACRYLIC LATEX FLAT TINT BASE INTERIOR SIZE:QUART. See details VALSPAR 1400 MEDALLION ACRYLIC LATEX FLAT WHITE INTERIOR SIZZE:QUART. See details VALSPAR 1408 MEDALLION ACRYLIC LATEX FLAT PASTEL BASE INTERIOR SIZE:QUART. See details VALSPAR 11288 PROFESSIONAL INTERIOR PVA WHITE WALL PRIMER SIZE:1 GALLON. 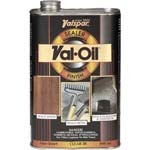 See details VALSPAR 27-30 VAL OIL CLEAR BRUSHING SIZE:QUART. See details VALSPAR 255 GUARDIAN CONTRACTOR INT LATEX WALL & CEILING FLAT WHITE SIZE:1 GALLON.